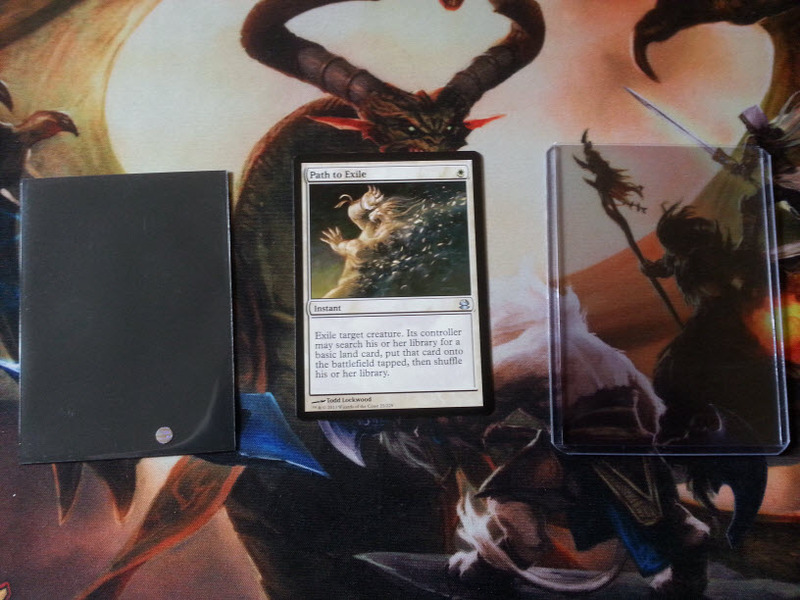 With websites like eBay, TCGPlayer and now Pucatrade, shipping cards is pretty common. 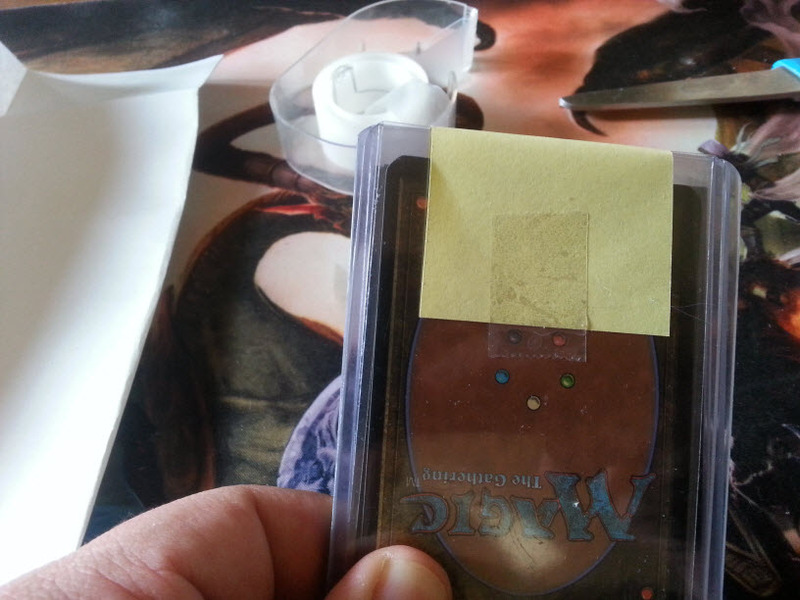 Whenever we buy or trade a card we expect it to get to us in the same condition it was shipped. 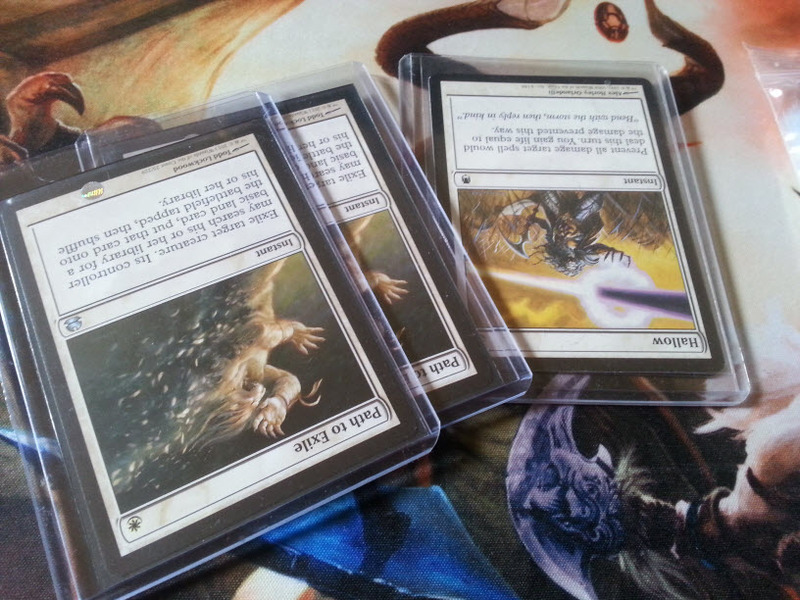 I've been selling cards on eBay for a while now and just started using Pucatrade. 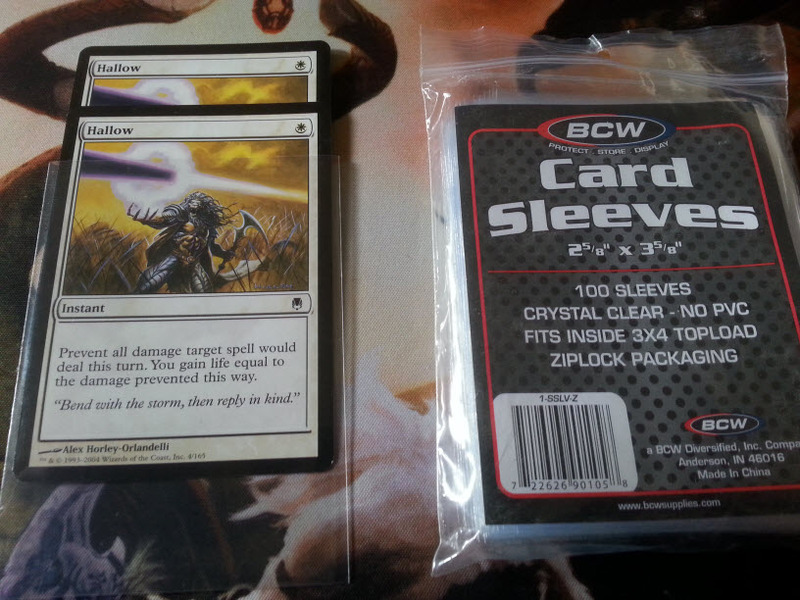 In this blog I'm going to give a step by step of how I ship cards and what I've learned to avoid. Hopefully this can be helpful to some of you. First step is we need a card to ship, a card sleeve and a hard top loader. I've learned the hard way that sometimes when you buy these items locally they charge and arm and a leg, so I've included links on some cheap places to buy them. You want to package your cards carefully and well, but lets face it - the less we spend on shipping materials the better so the goal is to get the best deals when possible. So now that we have what we need, let's place the card in the sleeve and place the card into the top loader upside down. I do this because if the card should slip up and almost go out of the top loader, if there is some tape on the top it could get stuck and damaged. So if it's upside down the card sleeve will get stuck and not the card. Let's say we're shipping more than one card. Do we have to use a top loader for every single card? Well this depends. If it's an expensive card I usually try to give each one it's own top loader, because I want to be careful not to stuff too many cards into a single top loader. But if we're shipping some other commons out or something that isn't super expensive, I'll put them in a penny card sleeve and place that into the top loader. Now remember that not all top loaders have the same size opening. So if you have a bunch of top loaders laying around keep the ones that have a wider opening for these situations. Again, place the penny sleeve in the top loader upside down to avoid any damage being done by the tape at the top of the loader. It's a good habit to get into. Now we have everything we want to ship in top loaders. 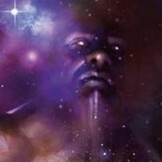 Oh, and before I forget. Try to avoid using those flimsy loaders. They aren't sturdy and can get bent really easily. Top loaders aren't expensive when you get them from the right place, so don't skimp on this. Spend the extra few cents and do it right. You wouldn't want someone throwing cards you've bought or traded for into one of these and risk them being damaged, do you? So package it like you'd expect to get your cards. From here we have a few choices. Usually I like to add cardboard to each side of the group of cards and tape them together. Not everyone does this. 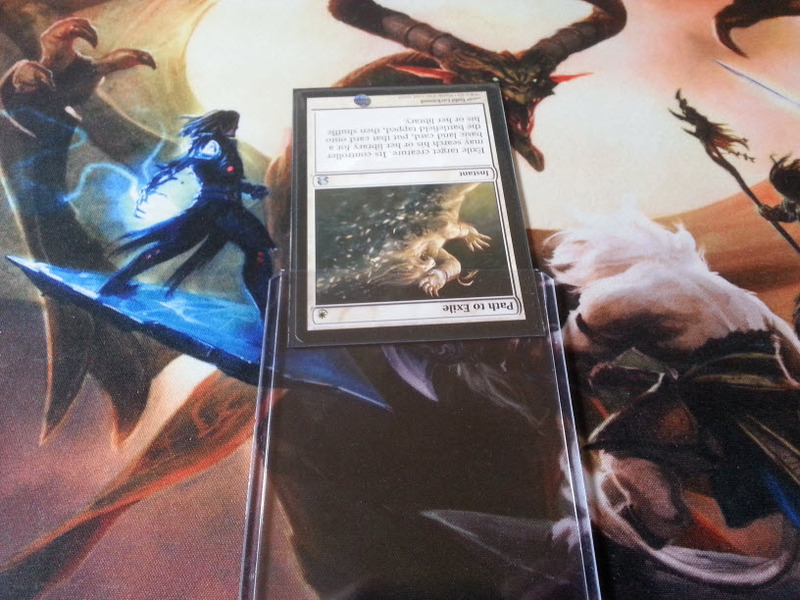 In fact I thought it was common practice until I started using Pucatrade. Every single trade I've gotten is just cards in a top loader and a regular envelope. Not that that's bad, but I was a little surprised. Now let's put all of the cards together so they don't move around. 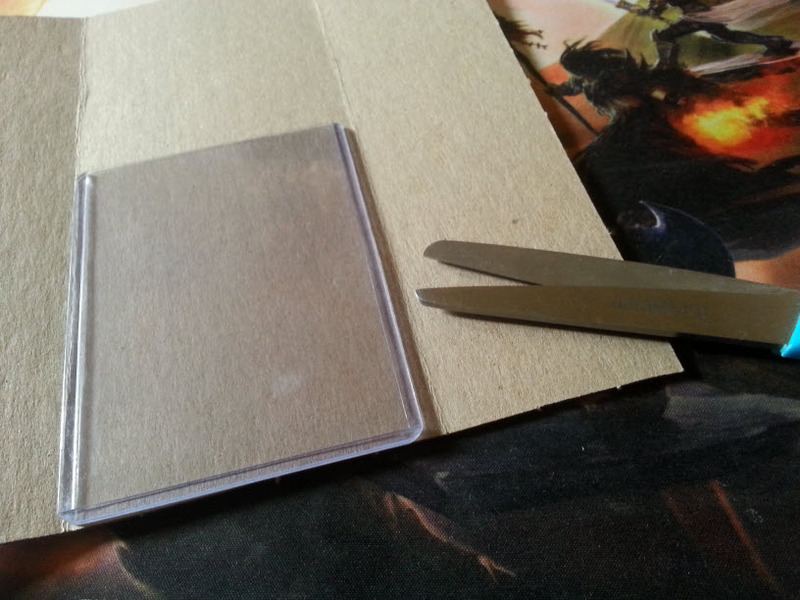 I like to put a sticky pad on top of the sleeves, taping one side and using the adhesive on the other side. This accomplishes two things: it avoids your cards moving around and getting stuck on the top loader, even if it's just the sleeve it's possible to damage the card. And it puts less tape on the top loader. Why is this important? 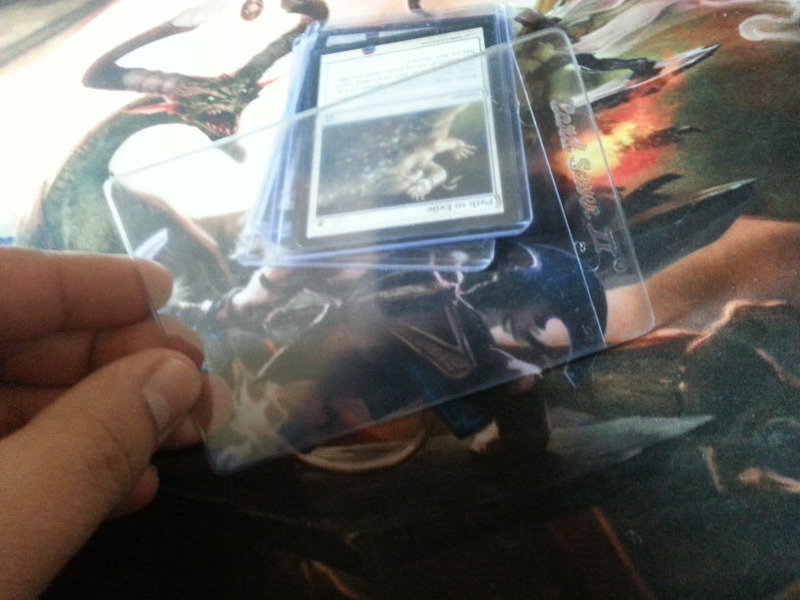 Because if you're a seller or trader chances are you re-use these materials each time you ship a card. So out of courtesy you want the least amount of scotch tape on the loader as you can while still securing it. This makes it easier to take the paper off of the top and also less time trying to scratch off used scotch tape to re-use the loader. Pass it forward. 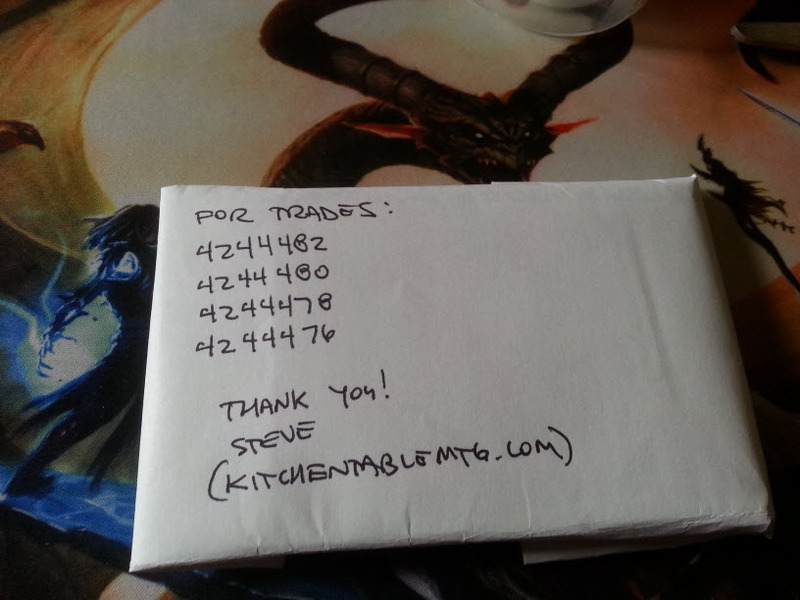 Also, you can write trade numbers if you're shipping for Pucatrade, making it easier for the person receiving the cards to give you your points for a successful trade. It's the little things. So let's review how to use cardboard on each side. 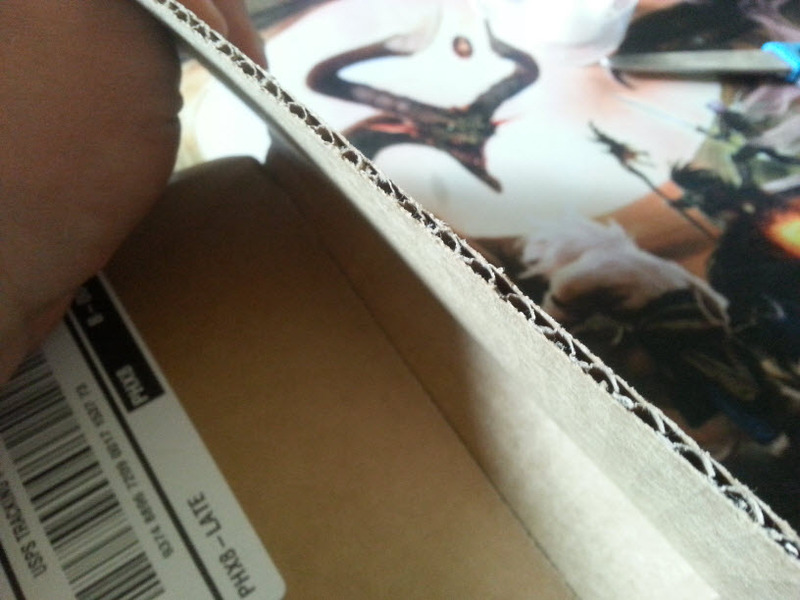 Remember that this will lead to more weight in the envelope, which means a bigger envelope and more shipping. But again, it's a good habit to get into. Looking for some cardboard to use for this? Do us all a favor and do not use corrugated cardboard. Why? Look at what's in the middle and imagine some cards being in the middle while it's smashed together. It can imprint those lines right onto the card and ruin them. What cardboard should you use? Remember all those fatpack boxes you have laying around? The cardboard those come with is perfect to cut and add to each side of the card. If you don't want to butcher that cardboard then look around and I'm sure you'll find something you can use for this. Put a top loader on it, grab a pair of scissors and cut it. 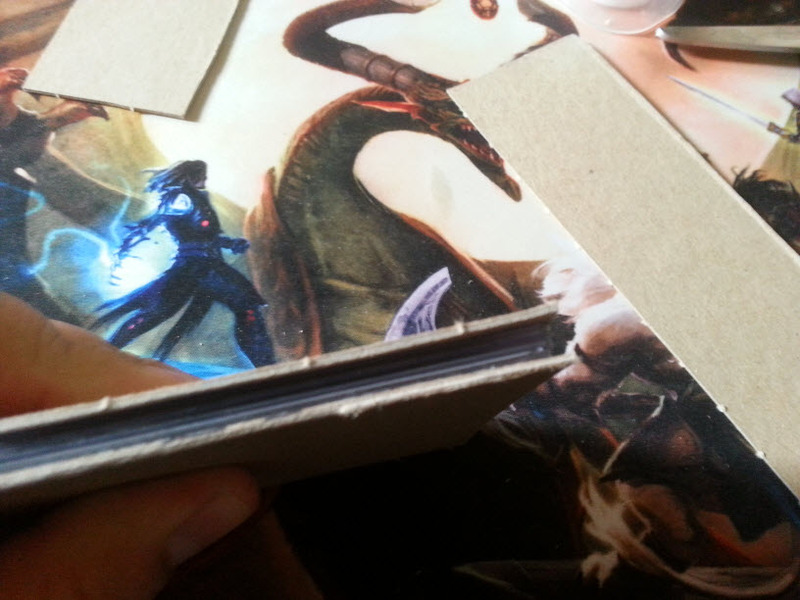 Remember to use an empty top loader for this, you don't want to accidentally cut into that card you're shipping. After both sides have been cut, tape them together and secure them. 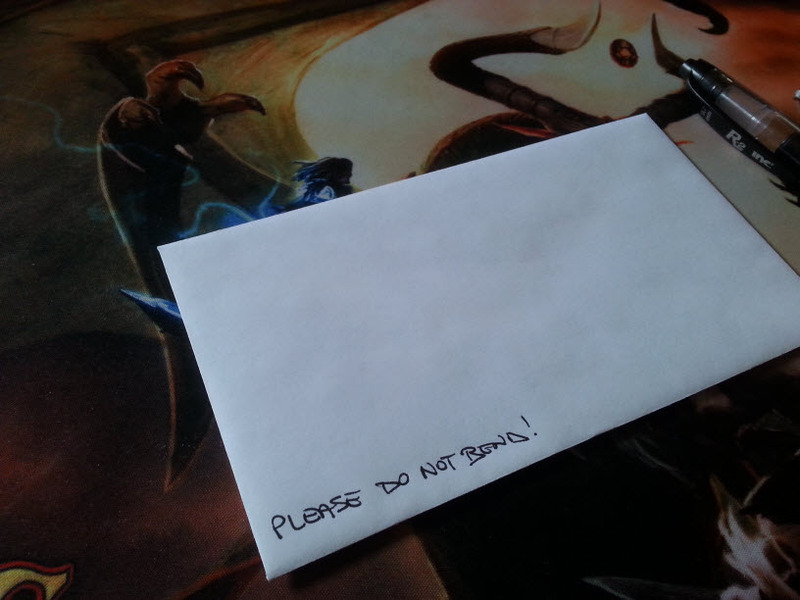 Now something some people forget is if you're shipping in an envelope, even if it's padded it's a good idea to write on the envelope "DO NOT BEND". 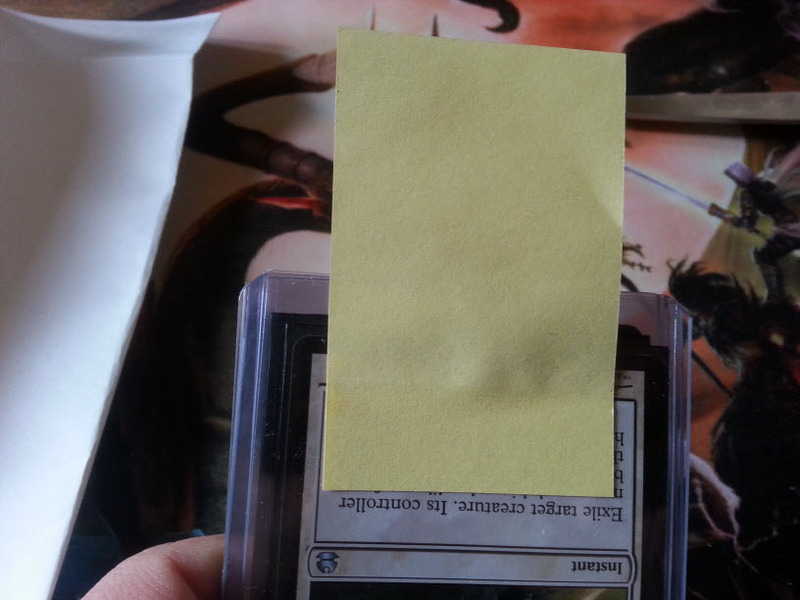 I'm told this makes a difference and can avoid the cards from being damaged during shipping. I mean it's the Postal Service so take it with a grain of salt. A lot of it is just crossing your fingers and hoping for the best from this point on. Remember to put enough postage on the envelope! Whether you are selling or trading it's always a good idea to ship out ASAP. These are my most common methods. What are yours? Is there something I should be doing that I'm not doing? Let me know in the comments below and if you enjoyed this entry please share!